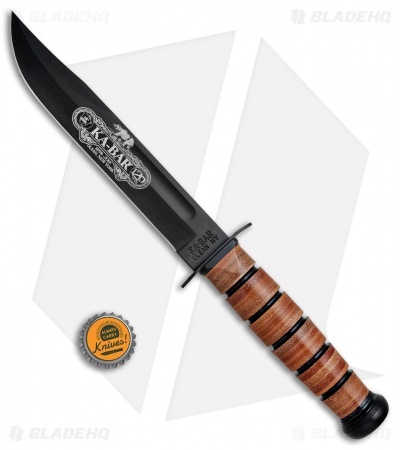 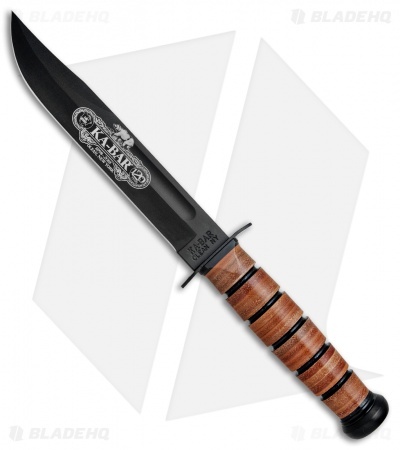 This Ka-Bar USMC model commemorates 120 years of this high performance USMC fighting/utility fixed blade. 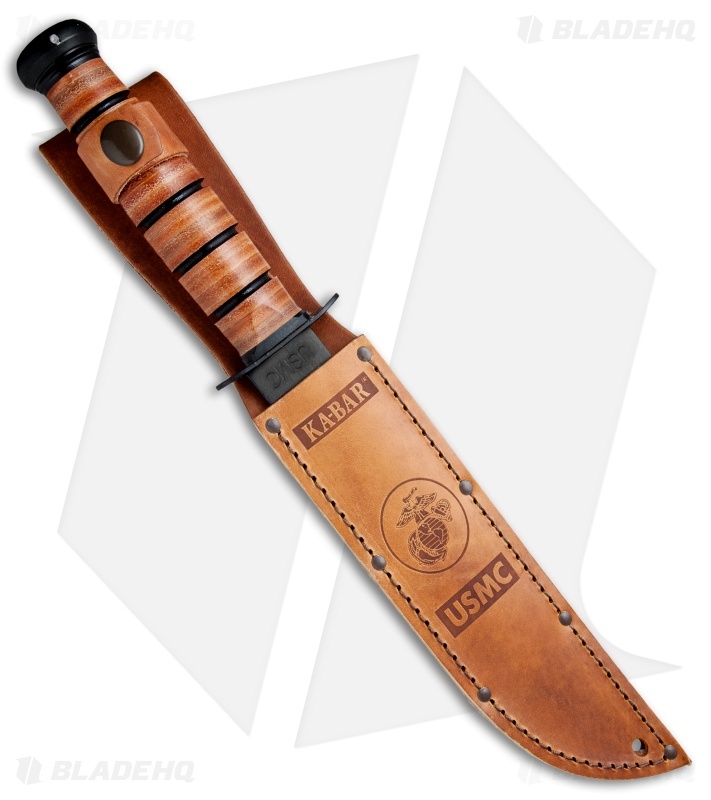 Since the 1940's, the Ka-Bar USMC fixed blade knife has been a trusted companion for Soldiers, Marines and Seamen alike. Now with the tradition that more than half a century brings, this knife has been updated with modern tooling and construction. 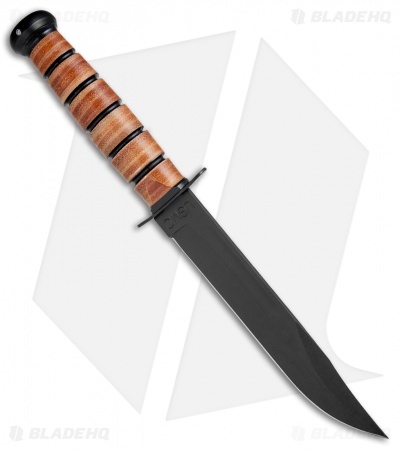 It comes equipped with the iconic clip point blade, made from expertly ground and heat treated 1095 Cro-Van steel. The stacked leather handles are bonded together and contoured into the familiar oval shape for excellent comfort, traction, and control. Item includes a powered steel guard and pommel, and a brown embossed leather sheath. Oval shaped leather stacked handles comfortably fill the hand for a high performance grip. Item includes and embossed USMC brown leather sheath for secure carry. 1095 Cro-Van Steel provides a tough and durable blade design.